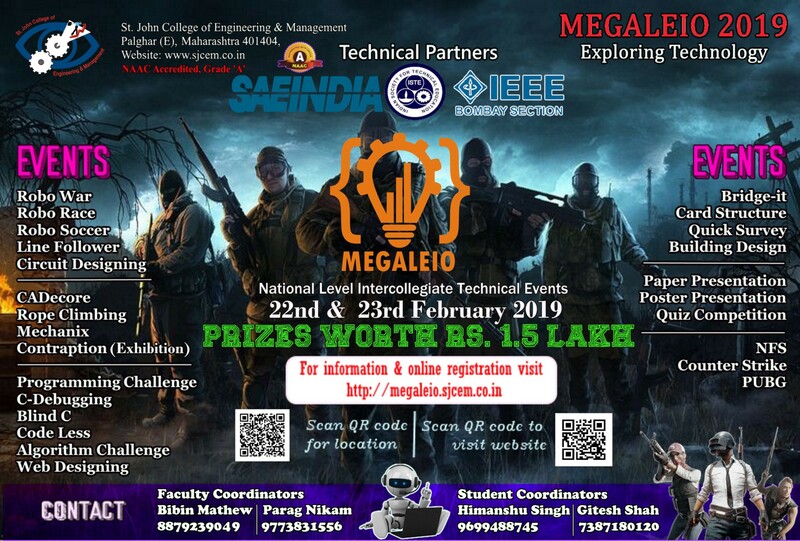 “The basic idea of organizing this event is to provide a platform to the students at state and national level to showcase their talent and provide information on latest technologies available in engineering”. The event is inspired by overwhelming response of the students of SJCEM during intra college technical festival, science fest (annual technical exhibition). Annual project will showcase the participation of the students in multiple national level competition. we are hopeful that this initiative will bring a new era of ‘learning by sharing’ in vicinity of campus .